With amaro and bitter drinks continuing to gain popularity in America, it’s no surprise that we’ve been witnessing the arrival of a small, but growing wave of American-made bitter liqueurs. Many of these artisanal amari and apertivi are being made as side projects by craft spirits distilleries (like Breckenridge Distillery and Leopold Bros). But there are a few young producers that are carving out an exclusive niche in this space. 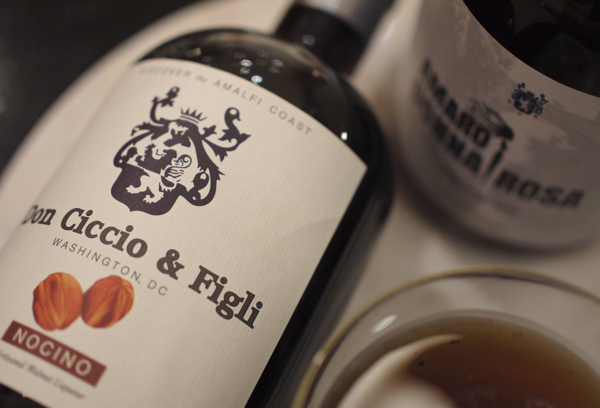 At the forefront of this uniquely bitter world is Don Ciccio & Figli, based in Washington DC. 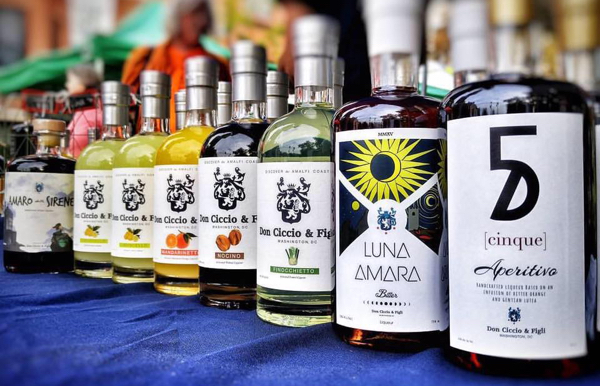 Founded by Francesco Amodeo in 2012, Don Ciccio & Figli not only has the broadest portfolio of American-made craft amari, apertivi and cordials on the market, but also they have the most authentic heritage and recipes to back it up. Of course, many of the amari and apertivi you may be familiar with—like Campari, Cynar, Fernet and Averna—are Italian products with a uniquely Italian heritage. Francesco Amodeo’s family has been making liqueurs in Italy since the late 1800s, including his two grandfathers who made liqueurs in their home on Italy’s Amalfi Coast. In fact, Amodeo himself was born on the Amalfi Coast and only moved to the US in 2005. 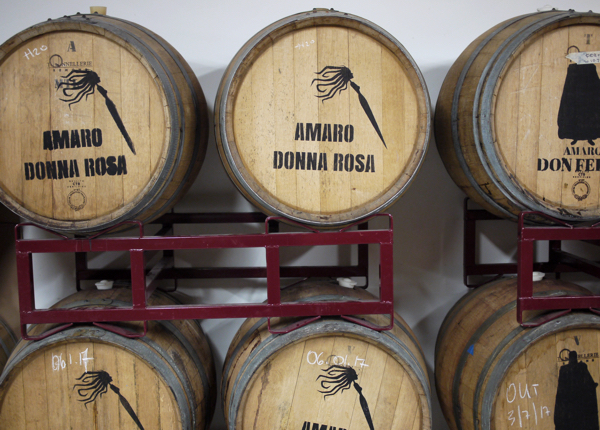 When talking to Amodeo at his production facility in DC a few weeks ago, it became very clear that the portfolio he has crafted at Don Ciccio & Figli is very much inspired by his family’s history, and the recipes they used. It’s a “glimpse of the past with a nod to the future,” he says. During my visit, Amodeo took me through a tasting of his entire product line—which is quickly approaching 20 different liqueurs (an impressive feat for a company that is only five years old). His space is open to the public and I highly recommend swinging by to taste all of these fantastic spirits. Amodeo starts you with his apertivi, like Cinque and Luna Amara, works you through his citrus based spirits like Limoncello and Mandarinetto, and eventually takes you to his amari, highlighted by Don Ciccio’s flagship Amaro Delle Sirene. 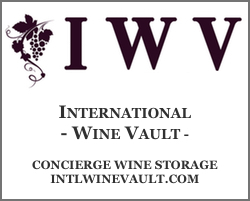 If you are into these kind of liqueurs, you will be impressed with his portfolio from start to finish. They are well made, well balanced, unique and delicious. 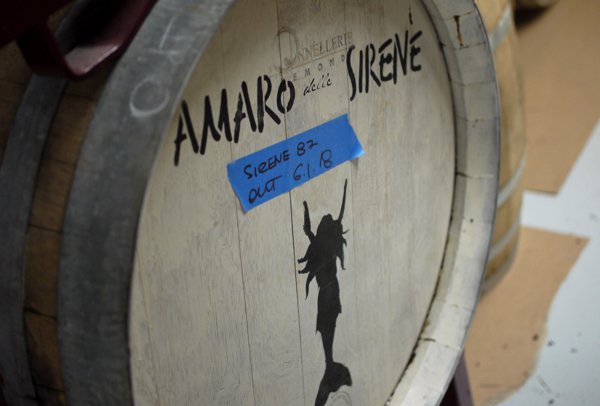 Amodeo has even started a long-term barrel aging program to craft spirits like his Special Edition Amaro delle Sirene, which was matured for an extended period of time in American and French Oak casks. You could certainly work this amaro into a cocktail, but Amodeo recommends his special barrel aged projects for after-dinner sipping. The current version he’s working on will sit for five years in barrel before being bottled. Get in line for that one! 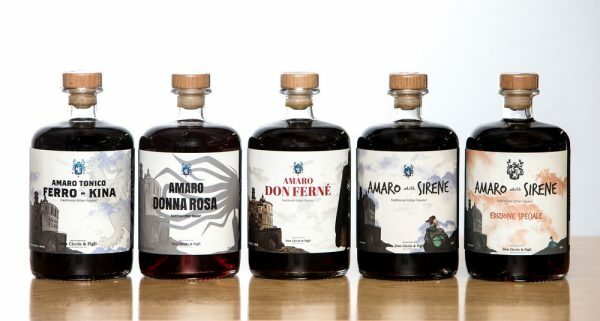 If you are a bartender by trade, a home cocktail enthusiast or just a lover of amari, apertivi and/or cordials, you need to check out Don Ciccio’s liqueurs. They are now being sold in many states nationwide. 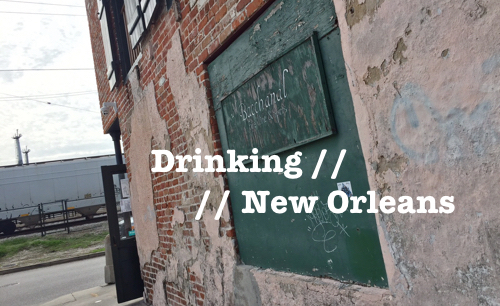 Nocino – A number of years ago I was at a bar in New Orleans and I ordered a whiskey-based cocktail with walnut liqueur. It blew me away. I had been thinking about acquiring a bottle of walnut liqueur ever since, but hadn’t done so until I picked up a bottle of Don Ciccio’s Nocino (it was the first of their products I tried). It has been a go-to in my liquor cabinet ever since. This is an absolutely delicious liqueur, made from all non-GMO green walnuts from California. About 100,000 walnuts go into the production of 1,500 cases of Nocino, which by the way, Amodeo hand-harvests. The final product is bottled at 29% ABV. On the taste, expect a bittersweet sip with aromas of walnut, baking spices vanilla and berries. Superb! Donna Rosa Rabarbaro – After I finished my tour with Francesco, and was about to leave, he mentioned that they had just released a Rabarbaro and offered to give me a taste. As a fan of this unique Rhubarb-based spirit, I of course said yes. And, I’m very glad I did because this wound up being one of my favorites in his lineup. 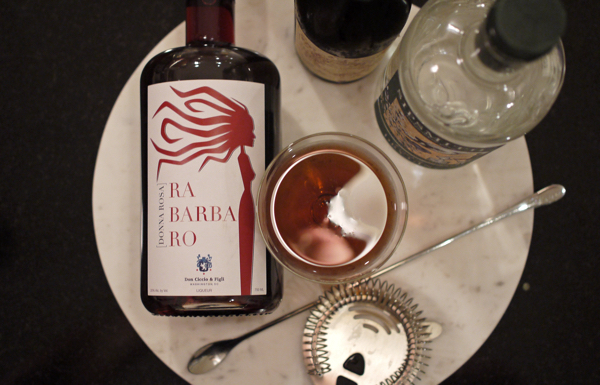 Rabarbaro is a really interesting liqueur. It has a naturally smokey flavor which I love. Don Ciccio’s take showcases a beautiful bouquet of roots and herbs, with rhubarb, honeysuckle, rose petal and vanilla coming to the forefront. The spirit is aged for a full year in French oak barrels and is bottled at 20%. 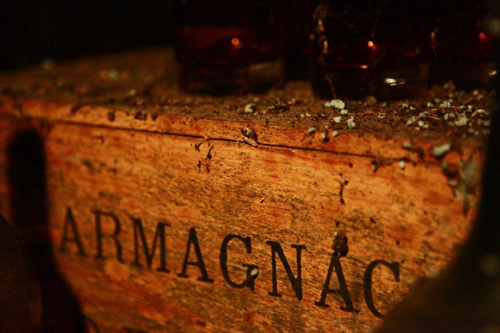 Don Ciccio’s flagship amaro is what artisanal amaro is all about. To develop this liqueur, Amodeo analyzed old samples left over from his grandfathers, and created an infusion of about 30 roots and herbs, which he now barrel ages for about a year. The final product is bottled at 29% ABV. The outcome is a balanced and irresistible flavor bomb that is a pleasure to sip on its own or use in cocktails. 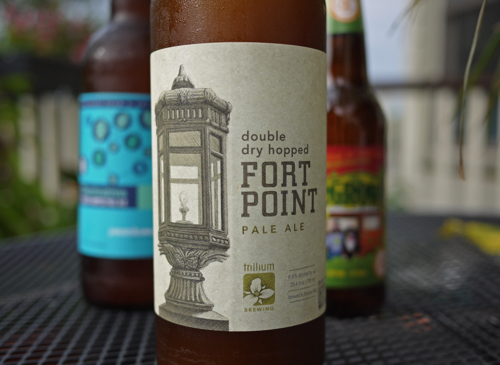 Expect an onslaught of herbal and bitter notes, layered with aromas of eucalyptus, licorice, ripe fruit and chamomile. A must for any bitter spirit fan’s cocktail cabinet. 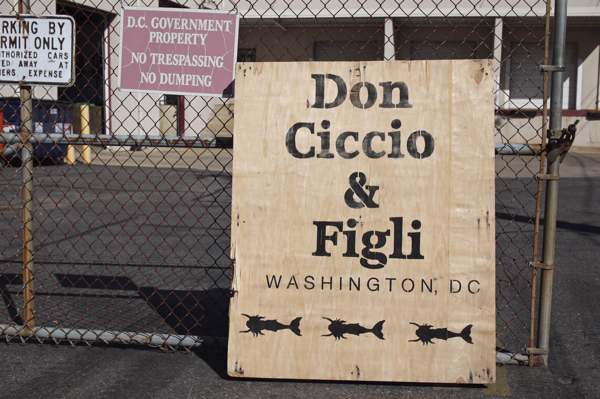 For more information on Don Ciccio & Figli, check out their website, or visit them in Washington D.C.